Community Servings Young Leaders is a diverse group of passionate professionals who are dedicated to Community Servings’ mission to feed our most vulnerable neighbors. We welcome individuals in their 20s and 30s who are interested in volunteerism and philanthropy to join the Community Servings Young Leaders in raising funds and advancing the mission of the agency. 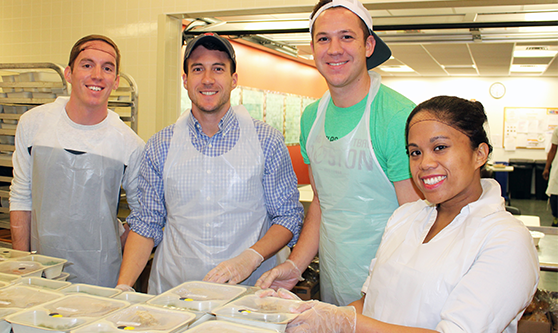 Help us prep & package made-from-scratch meals for our homebound & critically ill clients. 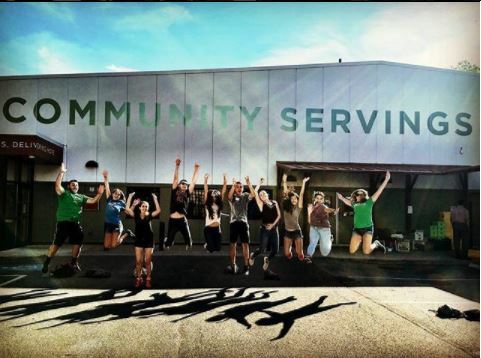 Kick off the beginning of the growing season with Community Servings Young Leaders (CSYL)! Join CSYL for a special edition of Community Servings’ Farm to Fork nutrition and cooking demo in our *new* Community Room on Thursday, May 9th. Enjoy wine and beer, hors d’oeuvres from our kitchen, and a demonstration from our experienced RDNs. Our RDNs will demonstrate healthy, seasonal dishes for you to taste and easily replicate at home for family and friends.